We need local amateur astronomers to help inspire public support for dark skies in our local communities. 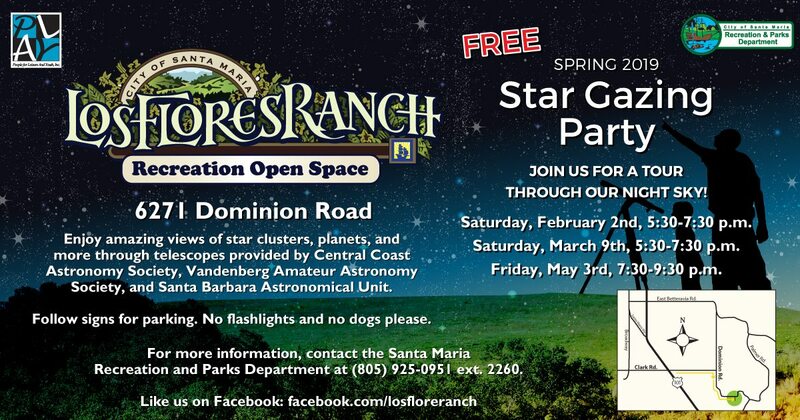 Join Los Flores Ranch Park in Santa Maria for some, or all, of their stargazing parties for the many diverse and curious people who show up to be dazzled. The average turnout is around 60 people (sometimes a little fewer and sometimes many more). The first party is this Saturday, February 2nd. We need amateur astronomers to help give them something that they can take away and share with their friends and family across the Central Coast. Your participation will help inspire the people of our communities to support dark sky friendly lighting initiatives… How? Because a tour of the night sky always leaves an indelible impression. Become a Member OR Renew Your Current Membership! Get our monthly newsletter, borrow club telescopes, and read books from our club library. No previous experience required! 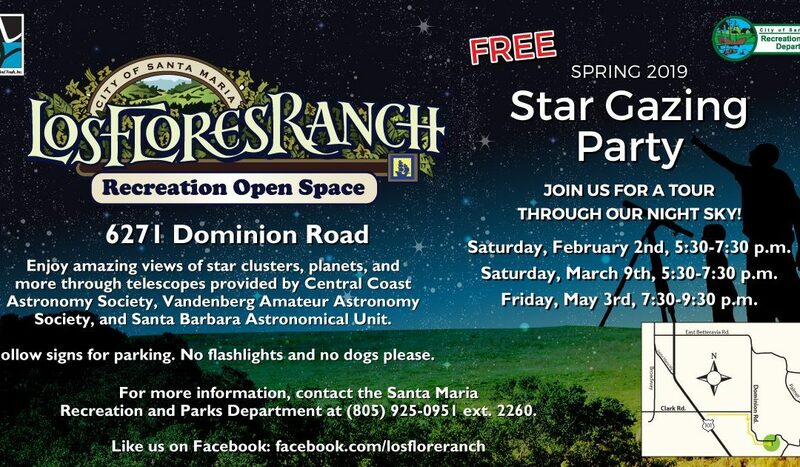 © Central Coast Astronomical Society . All Rights Reserved.